The Ohio State University Comprehensive Cancer Center – Arthur G. James Cancer Hospital and Richard J. Solove Research Institute (OSUCCC – James) and the College of Pharmacy have a long history of collaboration in cancer research. Just steps away from the college's front doors, the OSUCCC – James has helped the college to recruit and retain top-level faculty who are making groundbreaking discoveries at the university. The James is the only cancer program in the United States that features a National Cancer Institute (NCI)–designated comprehensive cancer center aligned with a nationally ranked academic medical center and a freestanding cancer hospital on the campus of one of the nation’s largest public universities. It is also one of only a few comprehensive cancer centers funded by the National Cancer Institute (NCI) to conduct both phase I and phase II clinical trials on novel anticancer drugs. 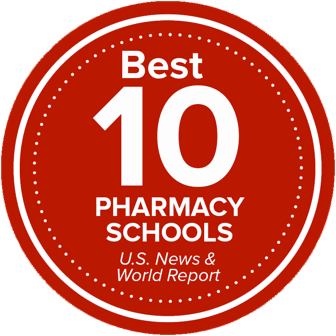 The Ohio State University College of Pharmacy is incredibly privileged to share such a strong relationship with the James. A relationship which dates back many years, and was strengthened in 1999, when Richard J. Solove – a Class of 1948 graduate from Ohio State's College of Pharmacy – was honored when the facility was renamed the Arthur G. James Cancer Hospital and Richard J. Solove Research Institute. Most recently, the James helped to recruit four faculty members, Drs. Sharyn Baker, Raj Govindarajan, Navjot Pabla, and Alex Sparreboom to the Division of Pharmaceutics and Pharmaceutical Chemistry. We are immensely grateful for the James and their engagement with the College of Pharmacy. Our college is exploring new frontiers in drug discovery and development, pharmaceutical sciences, and translational clinical research. This work is significantly strengthened by the James. At the end of the day, we are working toward the same mission – to improve health and well-being.